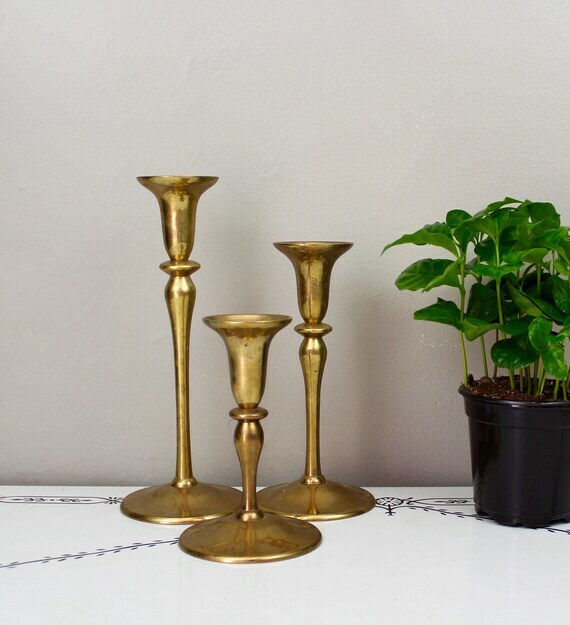 Great set of 3 Mid Century brass candlesticks. All 3 have the same shape but are different in height, adding dimension to any mantle or tablescape! They have a lovely patina and would look great as-is or all shined up! Classic shape! Each measures 4.75" in diameter across the bottom and range from 5.75" to 9.5" in height.